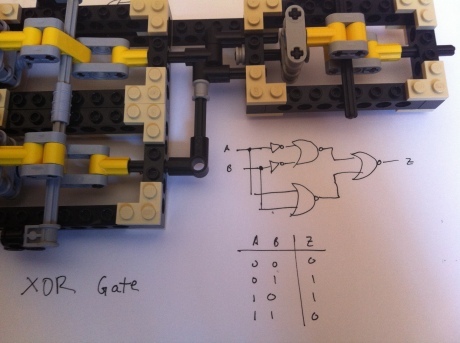 Is it possible to build simple logic gates with LEGO mechanics? I built a simple bitshifter in Minecraft yesterday. I wondered if something like this could be built with LEGO? Maybe there is a possibility to build gates with rubber bands and those movable mechanic stuff. Did anyone of you do something like this? Various people have done this - however most of the links seem to point to a [then defunct] blog by Martin Howard (Randomwraith) from 2004. 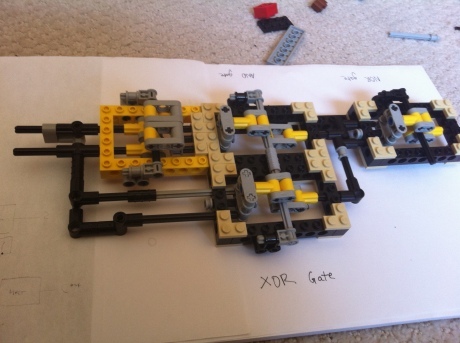 Based on a lack of gears and rack and pinion elements, Keshav decided to rebuild the logic gates using an approach based around levers. Extra care was taken to ensure that the movements were uniform so that the outputs moved the same distance as the inputs. If you look carefully Keshav's gates you'll see that they suffer from a fundamental flaw in that they can't be reset, the input rods are completely decoupled so pulling them out does nothing. Not the answer you're looking for? Browse other questions tagged technic electronics or ask your own question. 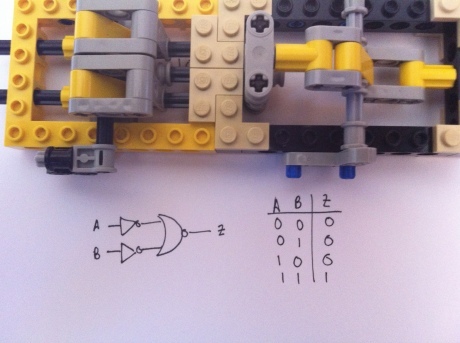 Is it possible to build a decimal to binary converter (binary counter) with LEGO? When did LEGO stop producing Technic action figures? 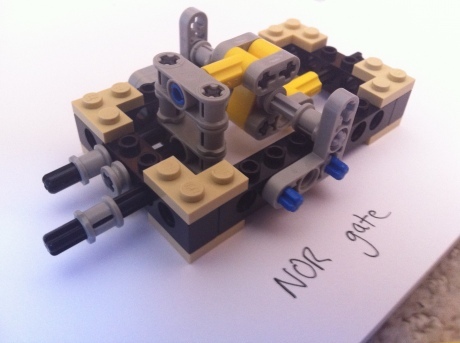 What are Good LEGO (or similiar) sets to play-prototype machines working with fluids? How to build a flywheel crankshaft piston pattern with technic? How can I remove a rubber band from a pulley? 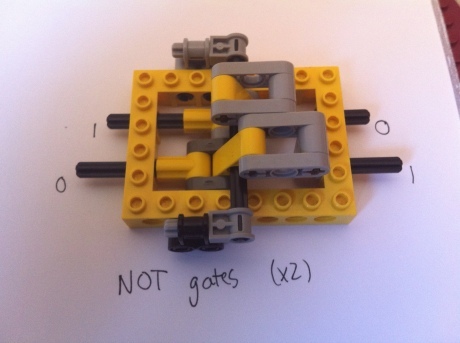 How much current do the LEGO motors draw? Which LEGO set is best suited to build robots?